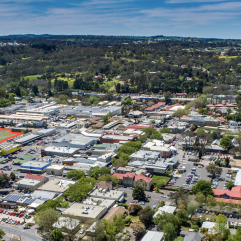 We are pleased to announce we have just executed a contract with Woolworths to purchase a vacant 11,345m2 site adjacent to Hutchinson and Morphett Streets in Mount Barker in conjunction with the Mount Barker District Council. The land at 1 Hutchinson Street has been on the market with real estate agent, CBRE following on from Woolworths exit from the Masters hardware business. 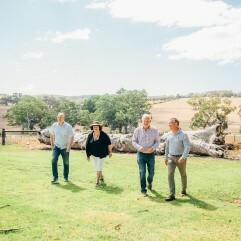 Our Managing Director, Kym Burke explains that an agreement with the Mount Barker District Council was entered to jointly secure the land and to ensure the site and its existing titles were not sold off piece by piece. This was achieved after a six-month due diligence period, in which time a prudential report was prepared. “We see this parcel of land in Mount Barker City Centre as a significant site which requires integrated and intensive development. 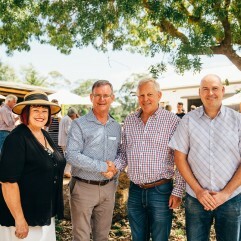 We are excited to be working with the Council to jointly prepare an opportunities plan consistent with the Mount Barker Development Plan,” said Kym. 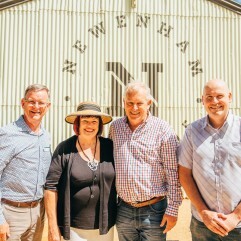 The land has been divided with Burke Urban acquiring forty-five percent or 5,105m2 of the land and The Mount Barker District Council the remaining 6,240m2. Burke Urban is obliged to buy 3,128m2 from the Council’s portion within five years. Kym Burke continued, “This joint approach is a great example of how private and public partnering can work for the mutual benefit of the community with one of the options for this mixed-use development a Town Square for the community of Mount Barker. “It is also expected the site will accommodate a range of retail and offices and there is potential for medium density housing and multi-level car parking. Our next steps are to commence the master planning and opportunities analysis immediately,” concluded Kym. We urge any interested tenants or complimentary developers interested in this development please get in touch. Click here more information or to put forward an Expression of Interest.